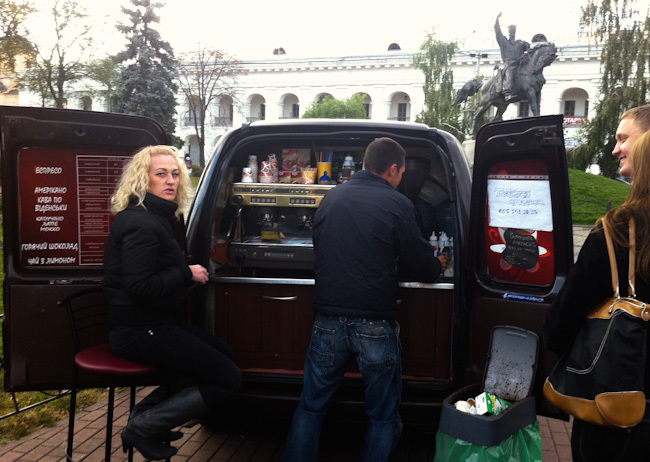 Recently I was in Kiev on a vacation and, taking advantage of an occasion, explored its vibrant coffee scene. Years ago (think former Soviet Union time), Kiev had several great cafés making decent espresso, Turkish coffee, drinking chocolate, etc. The competition, especially in the downtown, is fierce. I notice one small single building (Chervonoarmiis’ka St, 48) that had 3 different shops. My project was to find high-end shops that make a great “wet” cappuccino. After some initial Internet research, I ended up with a list of 11 shops. I tried cappuccino in all of these shops and also tried food in most. 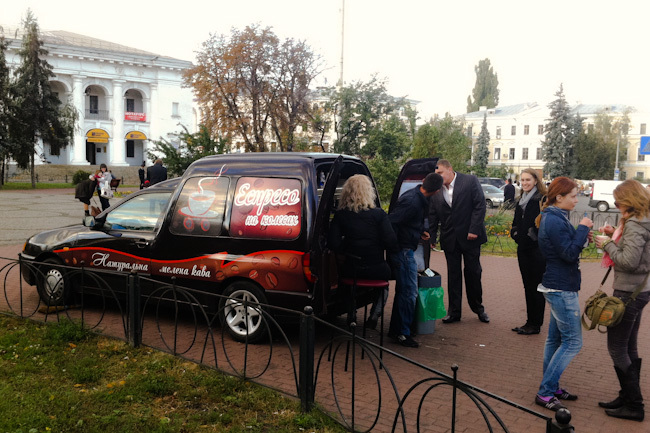 The prices for a small cappuccino varied roughly from US $1.5 to US $6. I graded them on the scale of 1 to 5. Note: I am not a professional master taster; I am just a coffee lover with a passion for a great cappuccino. I’m not affiliated in any way with any of these shops. Most of these shops do make “wet” cappuccino, but their quality can be improved. Often, the taste is not bitter, as in a bad espresso, but rather stale or harsh. Still, most of them do a better job than Starbucks. Starbucks would get a grade of 2 to 3- on my scale. The clear winner for me is Dom Kofe “Olympyyskyy” (Дом Кофе “Олимпийский”). It’s a very small shop, but it makes a great cappuccino and offers a selection of beans for your espresso drinks.